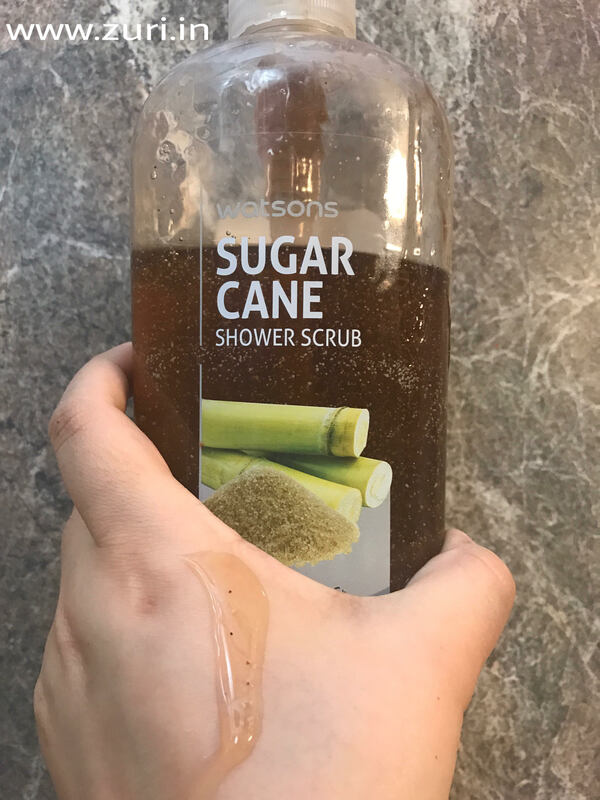 Watsons Sugar Cane Shower Scrub (Rs 765/- for 700 ml) doesn’t feel hard on the skin and does a pretty good job of daily exfoliation. A little quantity of product goes a long way. It lathers up nicely for a lavish me-time in bath. It leaves the skin squeaky clean and smooth. 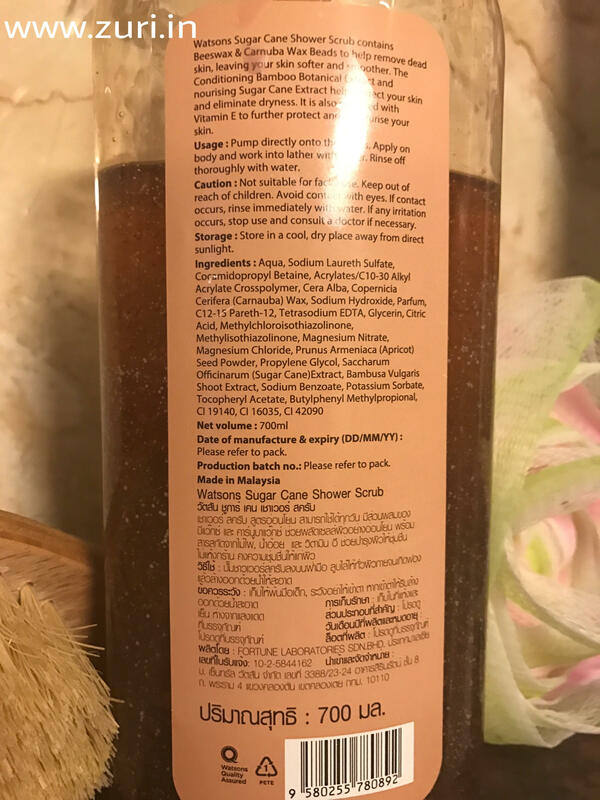 I mostly have dry skin all year round, and this product does a good job of keeping it supple and moisturized without drying me out. I love its tropical fragrance, which fades away after a while though. 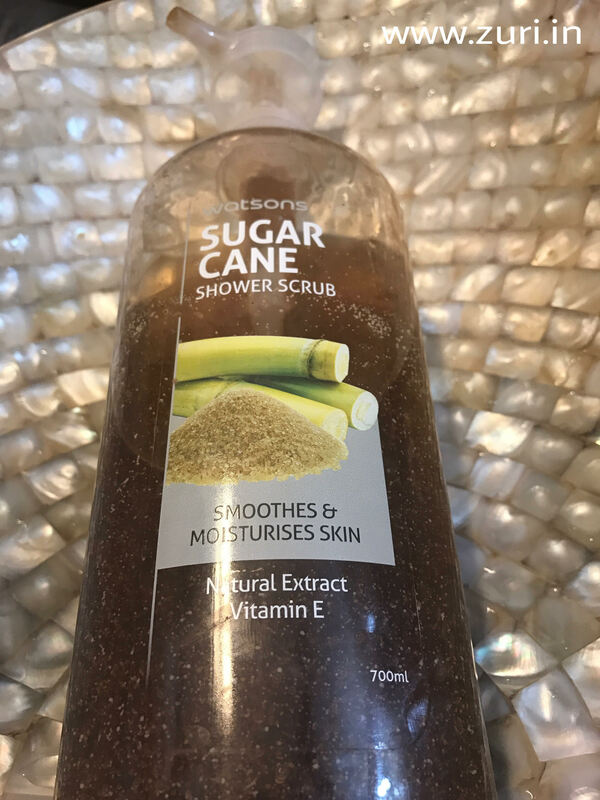 Granules are not harsh and does a decent job of exfoliation. But yes, I do not like to exfoliate my skin daily, so I use it 3-4 times in a week. Contains bamboo and sugar cane extracts to condition and nourish the skin. Contains Beewax & Carnuba Wax Beads to effectively exfoliate skin and remove dead skin. Contains Vitamin E to protect and moisturize skin. 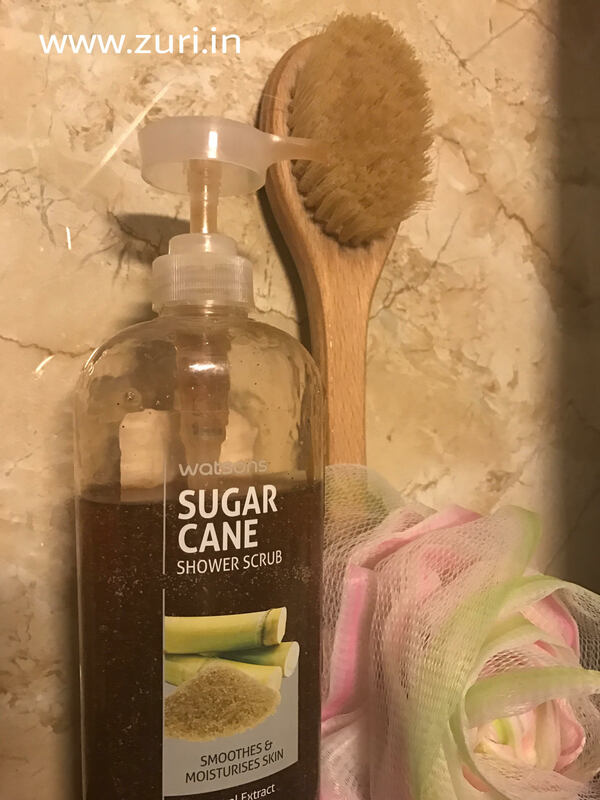 Has a refreshing sugar cane scent. A little product goes a long way and can be used for 2.5-3 months. Might be a bit drying for some. Due to it’s nature, application may feel little rough due to the crystals in it but it’s just there for a second or two. Pump once directly into your hand or loofah. Apply on your body all over till the time it works into a lather. Massage it all over your skin and then rinse off!